Time management as its best. Updated on 9/16/2011. More than 4 years ago, I’ve wrote about a few things you can do to save your time and boost your productivity. Some are still relevant and some are not. Seeing how this post still receives some attention, here is an updated version, which now includes Google Chrome and Maxthon web browsers as well as 2 additional features. The world moves fast, don’t you think so? It’s time to learn some tips and tricks and do everything at the speed of light. So to begin with, here are 7 web browser features that will help you to save a lot of time. So, here we go. 7 web browser features to save your time. Why bother clicking back button with your mouse when you can easily do that with the mouse gestures enabled? Download Opera with Mouse Gestures. Download Mouse Gestures add-on for Firefox. Not for search engines only. Isn’t that annoying when you have to open a web page and only then type what you are looking for? It is. But there’s a solution. When I want to search for something, I don’t visit Google, Yahoo, Wikipedia or eBay. Just pick a character, select your web page and that’s all. Supported by the majority of web browsers. Don’t you just get bored when you have to open your previously visited web pages? It is. That’s why web browser developers have incorporated tab sessions. Nowadays, pretty much all the web browsers support this feature, which is a win-win for consumers. This is probably one of the best things I’ve ever seen. This little add-on helps you to open multiple links at same time. Just mark them using the right mouse click and that’s all. Every link will open in a new tab. A must have when accessing search results or browsing reddit. Download Snap Links add-on for Firefox. Download Snap Links add-on for Google Chrome. Download Snap links add-on for Opera. This feature allows you to open your favorite sites just in one click. Back in the old days, this one was supported by Opera only. Today however, a similar functionality is implemented in pretty much all the web browsers. However, Opera still takes the lead here. Download Opera with Speed Dial. Download Speed Dial add-on for Firefox. This one requires an article on its own. I can’t stress enough how important web browser shortcuts are. No longer do I use mouse to open a new tab (CTRL+T), access news feeds, preferences. Heck, even right click to open page in a background tab is no longer required. If you are one of those people who visits Facebook only to check the notifications and are not really interested in all the drama that is going on there, then this one is a must. This Speed Dial extension for Opera web browser will automatically check the notifications for you and display them in case there is a new one. No more useless visits. Download Opera Facebook Preview add-on. Alternatively, you can get the following extension for Google Chrome. Anything else? Let us know in the comment section below. The biggest speed improvement is usability. That’s one of the reasons Firefox is and has always been the fastest. Of course :) Do you want mouse gestures? Try to find an extension which work with latest FF version. Do you want sessions? Try to find an extension which work with latest FF version. Do you want speed dial? You’re saying Snap Links addon was AMONG the addons you mentioned? Where do you illiterate lamebrains come from?.. Instead of fighting how about posting some productivity tips for Firefox , plenty of tips from Opera users but its not helping me any as I already know them . Would like to learn something about the other Browsers must be some reason so many people use Firefox. ? I’ll be glad to help. Just drop a hint on what exactly you’d like to know (about Firefox). I don’t know really know , how about some tips to make me more productive & save me time if i use Firefox. Well, first of all, you should consider using those three addons I mentioned above. 4. Saving pages as MHT. Try these addons and I’m sure you’ll be amazed when you see how much time they can save you. P.S. I’m an Opera fan. But Firefox has a great potential. Read Later is a boon for when U are traveling i use the similar “reading list ” extension for Opera when I’m away from home. Opera users save loads of time by having so much built in to the browser I’ve tried several extensions for Firefox that duplicate mouse gestures & speed dial & always found that Opera does it better. Yes, Opera really does it better, but there are issues… When it comes to mouse gestures I can not say I’m satisfied with what Opera can offer. FireGestures addon for Firefox has a lot more options and gestures to set up. I’m a keyboard junkie so the Opera gestures are more than enough for me. Stop pages loading is useful theres a couple of extension now that do it but no way to do it with the mouse. My past experience with FF, tried to do thing that is given in Opera, can’t as there is no such feature. I then proceed to frenzy adding add-on to ultimately mimic Opera, and what I’ve got is buggy, slow cluttered mess of a browser that can’t even do what I want right (add that the UI is/was(?) uncustomizable or just half baked). I give up, I went back to Opera, never look around again (except for interesting release and preferably portable). Love it although some feature are unnecessary and useless (unite, widget) but hey they can be turned off and it does not slow down thing at all, so I’m fine with it. Yeah, that’s why I can’t refuse of Opera. Everything’s built-in! Mail agent, RSS, Download manager, Notes. These features have a heavy use during everyday browsing. And now they implemented these Speed dial extensions. Firefox has a large distance to cover to get close to Opera. Its the same for me I know Opera inside out, I use the Opera mail client to manage several email accounts & have hundreds of notes & bookmarks. Installing Opera on a new PC or as a portable on a friends PC takes less than 5 minutes & using Opera link I have all my Bookmarks ,Notes mail accounts , Speed dials, Search engines, content blocker rules. The user interface will be changed to my liking with a favorite skin the address bar will be on the bottom of the screen & combined with buttons from the status bar. When I try out Firefox I soon get frustrated & give up. Maybe if I spent a month only using Firefox I would be in a better position to judge the relative merits of both browsers. Its probably a similar experience for Firefox users moving to Opera . Always? All of these features are innovations of Opera and Firefox not have some even with extensions. Why always the fans believe that Firefox is “the best” highlighting things that really says the opposite?. You can also talk to your browser the way you want it..
sites for buttons/button creating etc..
-not everyone knows you can cuxtomize .ini files in opera since it can be open in a notepad(windows) and change the way you want it.. I dont know for other browsers but in Opera You can use search managment for more then just search. With Opera its very easy to create a search for any web page that has a search-field like the one at the top of this page, just right click on the search field & create search give it a name (a number or letter a word ) initiate the search in the address bar with the name followed by a space then search term. And also try this one – http://my.opera.com/SearchEdit/blog/ . Very nice article and you can save your time with Opera everytime. No need further program for your business live as well. My favorite Opera time savers. 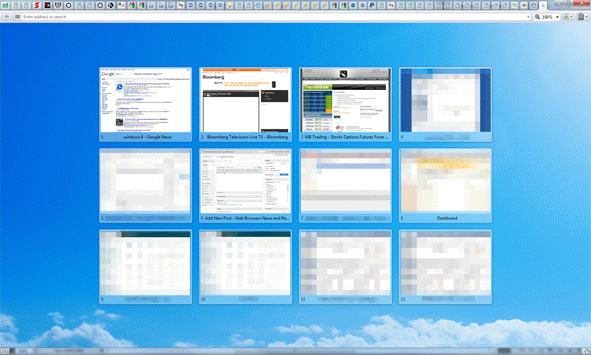 The Windows panel makes it far easier managing large numbers of tabs than the tab bar. Opera notes they are search-able & double clicking on the note header opens the web page it was copied from. The Alt Menu : Keyboard shortcut Alt opens the Menu & every option has a letter underlined which is the keyboard shortcut. an example If i am in full screen mode pressing in sequence Alt L a will toggle the address bar on & off. Opera Note. Just that, to this day I still cannot find a better one on any browser, with plugin or not. Which is crazy, since it’s very very useful. Also snap link is useless if you use mouse, just middle click a link and it’ll open in background, work for any sane browser. Lastly, this extension : https://addons.opera.com/en/addons/extensions/details/cleanpages/1.0.2/ if you appreciate clean page while reading anything. 100% agree on Opera Note. I heavily use notes to remember things, copy funny or nice texts to read later, transfer texts between my laptop and desktop pc (using OperaLink), using it as a multi-clipboard, etc. I can’t browse without this feature!!! +1. No other browser can offer such an easy-to-use Notes manager. Well, I rarely ever encounter scenario which has link of interest grouped together in a manner that snap link could be used. middle click is way more flexible. One extension I love in Opera is AutoPatchWork. It automatically loads the next page. There’s probably something similar available in other browsers, but I haven’t checked. This one doesn’t save you time but does save on screen space. How to Show Tabs Always in Titlebar When Mozilla Firefox is not Maximized? the other setting “Chrome Integration Drag Area ” controls how close the tabs are to the top edge. Well thinking about it i guess it is a time-saver for Opera with the right skin when the browser is maximized the tabs extend right to the top of the screen enabling you to throw the mouse cursor to the top of the screen & open the tab without worrying about overshooting the target. Opera is a rubbish browser and those who use it are just ignorants or fanboys. Why the autor’s article is obsessed with Opera? Opera don´t display well many important sites. Why waste time even to try it? Besides these “key features” anyone can obtain them for his browser through extensions, so there is no need to write an article mentioning Opera and their features. What are these sites you talking about ? So between 2 browsers one of which has every key feature built-in and the other has none of them by default you’re gonna choose the latter? Where’s logic here? 3. Pick what browser you want to open the page in. I rarely have to do this, but it’s yet another feature of Opera that can save time which I don’t believe is in any other browser. ” ignorants or fanboys ” open your eyes & take a long hard look in the mirror at yourself. The best feature that came out in the last year is the tab grouping-feature in Opera. Windows should copy this feature for Win 7 (instead of its Superbar), because it’s the best, intuitive and most flexible way to manage a higher number of tabs/windows.